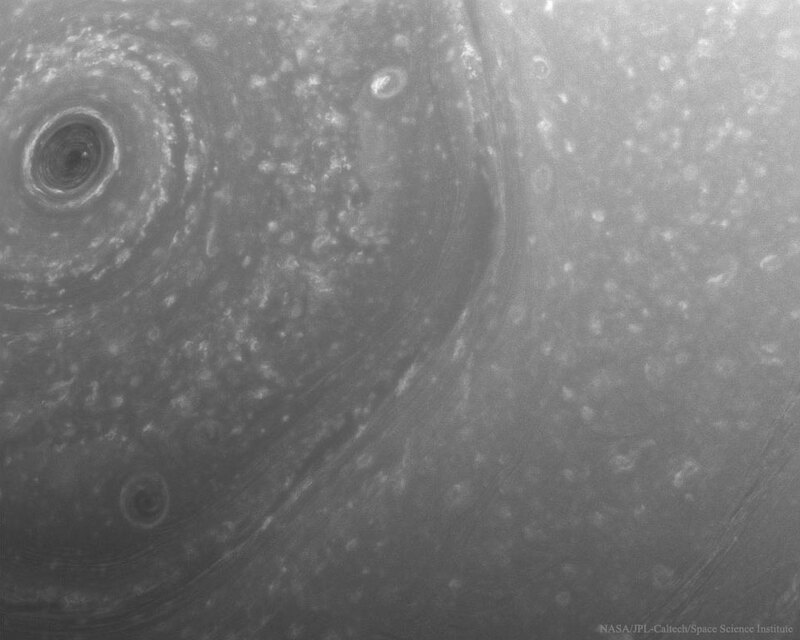 Explanation: The Cassini spacecraft's Grand Finale at Saturn has begun. The Grand Finale will allow Cassini to explore Saturn and some of Saturn's moons and rings in unprecedented detail. The first phase started two weeks ago when a close flyby of Titan changed Cassini's orbit into one that passes near Saturn's poles and just outside of Saturn's outermost F-ring. 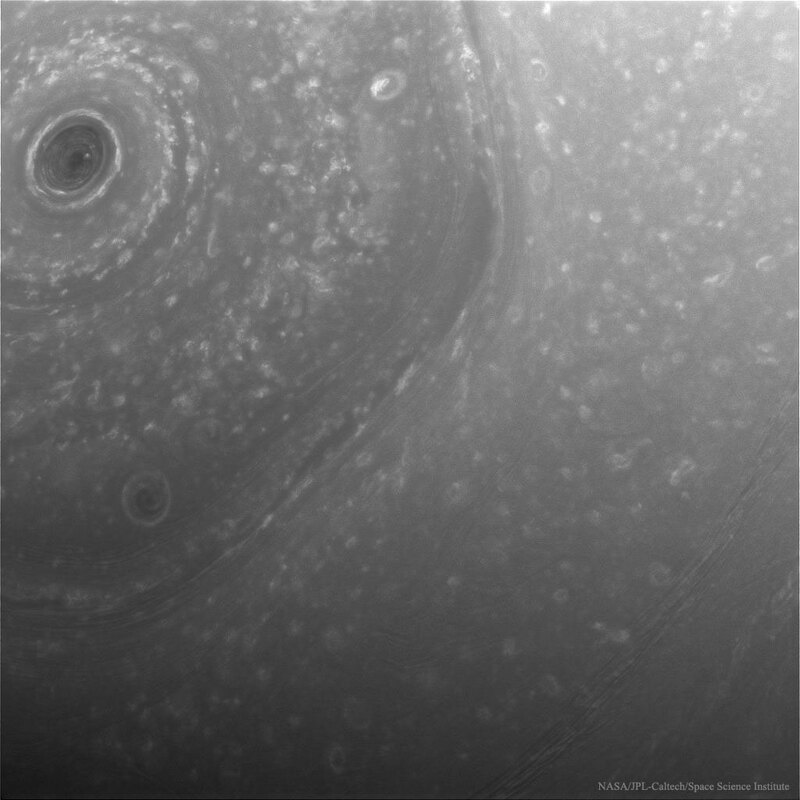 Featured here is an image taken during the first of Cassini's 20 week-long F-ring orbits around Saturn. Visible are the central polar vortex on the upper left, a hexagonal cloud boundary through the image centre, and numerous light-coloured turbulent storm systems. In 2017 April, Cassini will again use the gravity of Titan to begin a new series of 22 Proximal orbits -- trajectories that will take Cassini inside of Saturn's rings for the first time. Cassini's new science adventure is scheduled to end on 2017 September 17, though, when the robotic spacecraft will be directed into a dramatic mission-ending dive into Saturn's atmosphere.